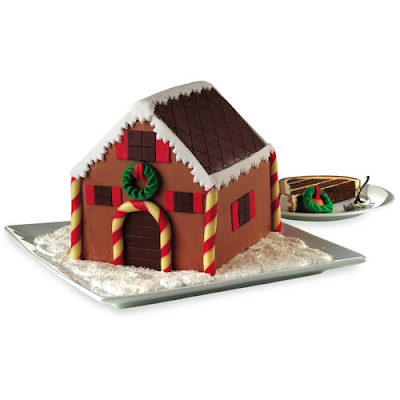 Not only is this gingerbread house cute, its edible. This gingerbread house is actually a cake, its a gingerbread cake layered with vanilla bean butter cream. Its so cute I don't know that I would want to eat it, but its sounds too yummy not to eat!